You may never have to wait in line for train tickets again if the Metropolitan Transit Authority’s new plan to convert Metro-North and Long Island Railroad trains to a paperless ticketing system is successful. The MTA recently announced that it has worked out an agreement with Masabi, a mobile ticketing app developer, to launch a new program for train riders to display fares on their smartphones and tablets. When finalized, the new app will also allow commuters to skip lines and simply purchase tickets using their handheld devices. For now, Masabi is only helping the MTA roll out mobile ticketing for the Metro-North Railroad and the Long Island Rail Road. The service won’t be rolled out to NYC Subways just yet and the MTA has not released an official date for the launch of its mobile ticketing apps. Masabi already has a reputation of building successful ticketing programs for places like Boston, San Diego, and Long Island. The MBTA Commuter Rail in Boston has already been doing this for a long while. There were some probs w/ the app - and app reviews were poor for a bit - but the app developers seem to have smoothed out the edges and the system seems to be working fine. You may never have to wait in line for train tickets again if the Metropolitan Transit Authority's new plan to convert Metro-North and Long Island Railroad trains to a paperless ticketing system is successful. 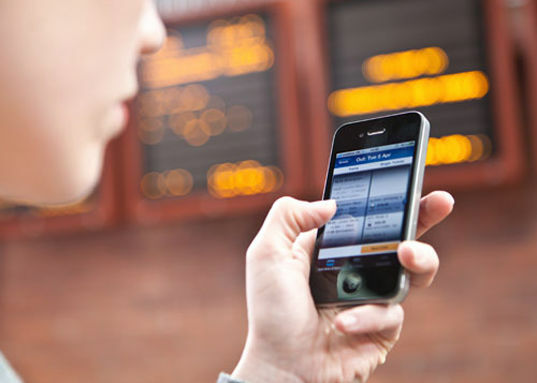 The MTA recently announced that it has worked out an agreement with Masabi, a mobile ticketing app developer, to launch a new program for train riders to display fares on their smartphones and tablets. When finalized, the new app will also allow commuters to skip lines and simply purchase tickets using their handheld devices.